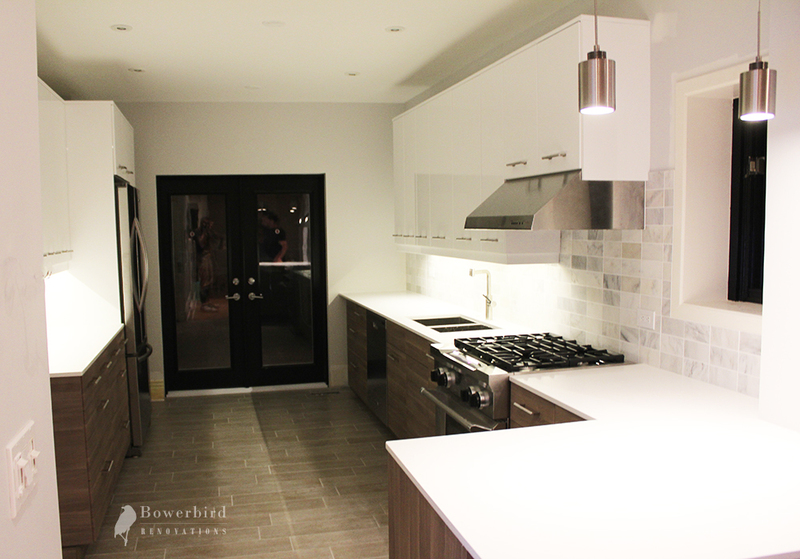 Check out a sneak peak of our recent bathroom renovation project in Richmond Hill. Our client wanted to create their dream bathroom and made it extra special with a wall to wall marble tile, black and white checkers style floors, and a beautiful crown molding to finish. 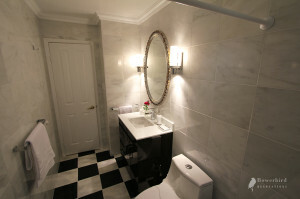 Talk about royal fever, this bathroom is a real royal treat. More pictures are coming shortly. This entry was posted in Uncategorized on July 29, 2013 by Andrei Chpak. 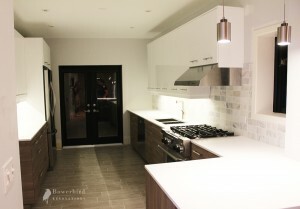 Modern, open concept, IKEA kitchen renovation in Toronto. 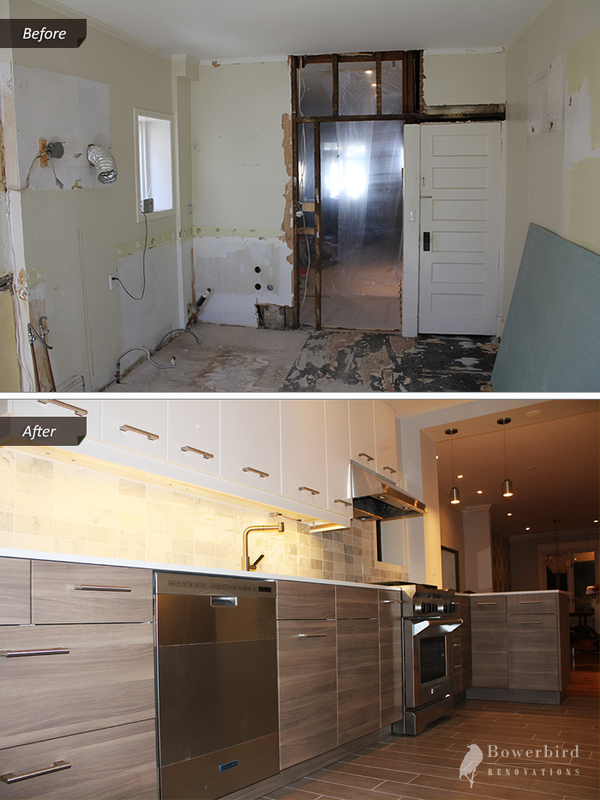 Check out more before and after pictures of this Toronto kitchen renovation on our gallery page. This entry was posted in Uncategorized on June 6, 2013 by Andrei Chpak. Many homeowners in Toronto inquire about converting their existing bathtub into shower. From conversations with our clients we found out that a lot of people don’t have time to take a bath simply because of their busy life. It’s much more convenient to just take a quick shower and go on with your daily tasks. 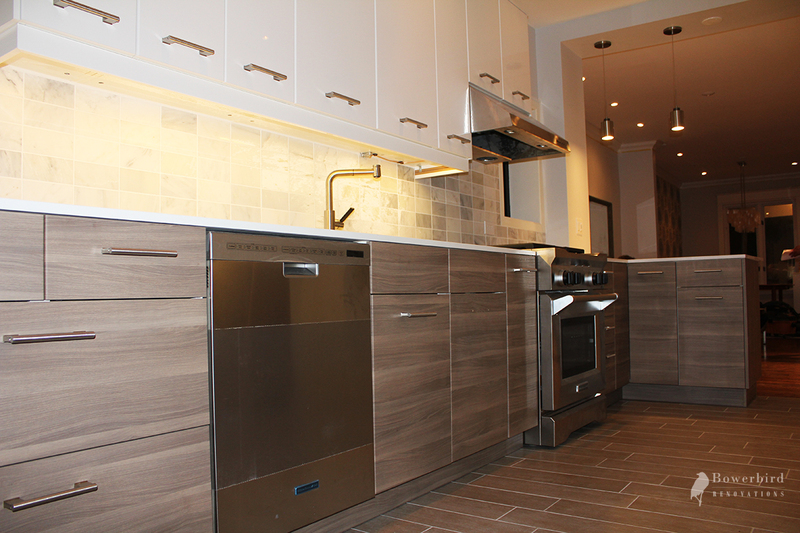 More and more of our senior Torontonian clients convert their bathtubs to showers as well. It gives a person more freedom and minimizes the chance of falling on slippery tub base. It also eliminates the need of stepping over the bathtub which could result in loosing the balance and falling on the floor. If your bathroom has unused space it is possible to extend your shower beyond the original size of your bathtub making it more spacious and comfortable. Giving enough budget this could also lead to changing the layout of the whole bathroom. Reconfiguring the layout of toilet, shower and vanity could help you utilize your space in the most efficient way possible. These shower bases specially designed to replace a standard bathtub. The base features an offset drain that is designed to match with the plumbing from an existing old tub. 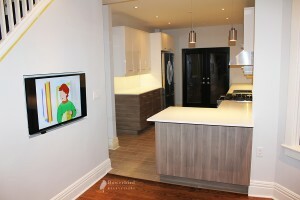 This helps minimize adjustments to plumbing during a renovation and save on the labour cost. Later the surrounding walls also could be tiled to customer liking same as with the customer built shower. Another option of how to convert a bathtub into a shower is to install prefabricated shower enclosure. This would be the most affordable option. But at the same time it does not look as good as custom made all tiled shower. This entry was posted in Uncategorized and tagged bathroom conversion, bathtub to shower, renovation on February 6, 2013 by Andrei Chpak.